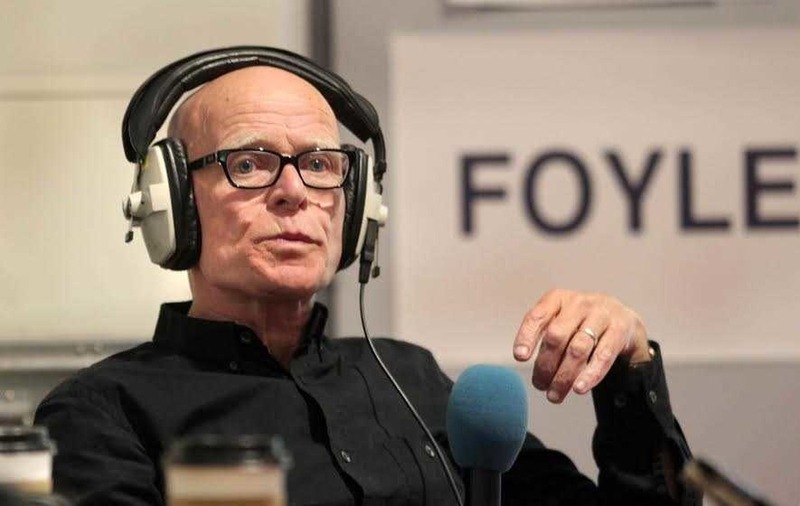 IT was a good day at the office on Friday for People Before Profit’s Eamonn McCann as he won a Foyle seat 46 years after he first contested an election. A leading civil rights figure in the late 1960s, McCann has long campaigned on left wing issues. He will now be one of the older members of the new Stormont assembly, entering the chamber at the age of 73. His success spelt disappointment for the two mainstream parties.The SDLP’s Gerard Diver lost the seat he inherited from Pat Ramsey who retired on health grounds. Likewise, Sinn Féin’s decision to move deputy first minister, Martin McGuinness from Mid Ulster to his native Derry failed to work with Maeve McLauglin losing her seat. 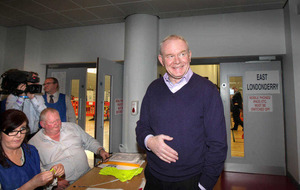 McGuinness topped the poll with 37 votes to spare over SDLP leader, Colum Eastwood, and was joined by sitting assembly member Raymond McCartney. The deputy first minister refused to use the word “failure” when referring to Derry. Earlier he said the real story of the day in Foyle was the election of Eamonn McCann and the SDLP’s loss of a seat. “The party which will be most pleased will be People Before Profit,” he said. 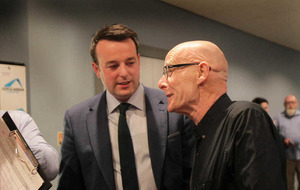 SDLP leader, Eastwood was later joined by outgoing Environment Minister, Mark H Durkan. The first candidate elected in Foyle, the DUP’s Gary Middleton, appeared to draw down the curtain on a pre-election row within unionism. 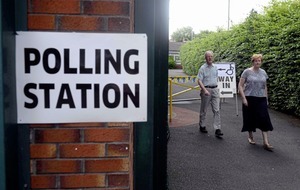 Middleton’s campaign was disrupted when his former party colleague – and former assembly member – Maurice Devenney stood as an independent. 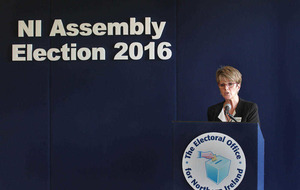 However, with only 1,173 first preference votes, Devenney exited the contest at an early stage. There had been speculation before the election that independent, Ann McCloskey would contest the final seat. While she polled 3,410 first preferences a lack of transfers meant she was ultimately unsuccessful. Elected: Martin McGuinness (SF), Colum Eastwood (SDLP), Eamonn McCann (PBP), Raymond McCartney (SF), Mark H Durkan (SDLP), Gary Middleton (DUP).